Today was all about Magnus Carlsen who completely annihilated the field scoring 7.5/9 in blitz play, half a point more than his impressive score in the rapid in Paris. He is now tied for first place with Wesley So who had a very shaky day. Their last round meeting tomorrow will most likely decide the winner of the event. Maxime Vachier-Lagrave started the day in clear second place but faltered towards the end and is now in third place. It is now close race between Carlsen and So with Vachier-Lagrave looking to strike back. Tomorrow promises to bring even more excitement! Magnus Carlsen seemed untouchable as he scored 5.5/6, an unbelievable result in such a tough field. The World Champion, who has very high standards for himself, described the day as “fantastic”. He stumbled in the very next round when he played an exceptionally poor game against Anish Giri and even blundered a rook. 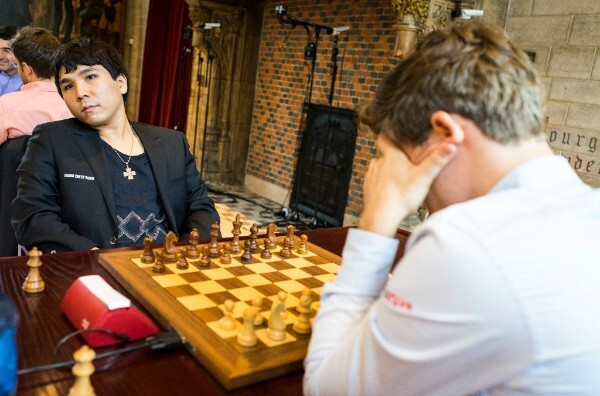 He did not waste any more opportunities by defeating Baadur Jobava and the leader Wesley So back to back. 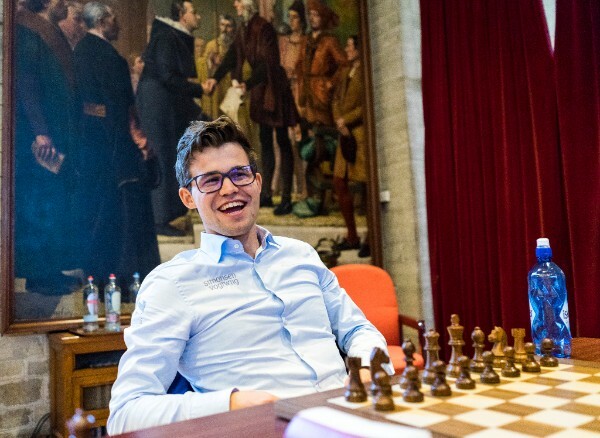 Carlsen felt that as though towards the end he was running out of steam but on a day when nine blitz games are played, the last few games are played on adrenaline. If he can keep up the energy levels, it will be very difficult to stop him. 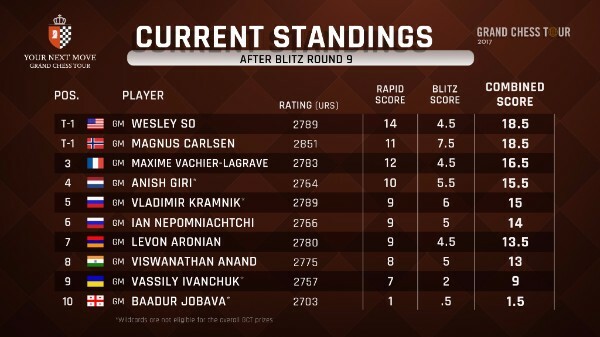 Wesley So, on the other hand, started the day with a two point lead over the field but was less impressive in the blitz. After his 2.5/3 result, the U.S. Champion also seemed untouchable. Staying true to his style, the U.S. champion didn’t take too many risks and instead waited for his opponents to give him winning chances. This is a strategy that has paid off many times in the past but today was a different day. So was defeated by two close rivals: Carlsen and Vachier-Lagrave but still remains on top of the leaderboard. 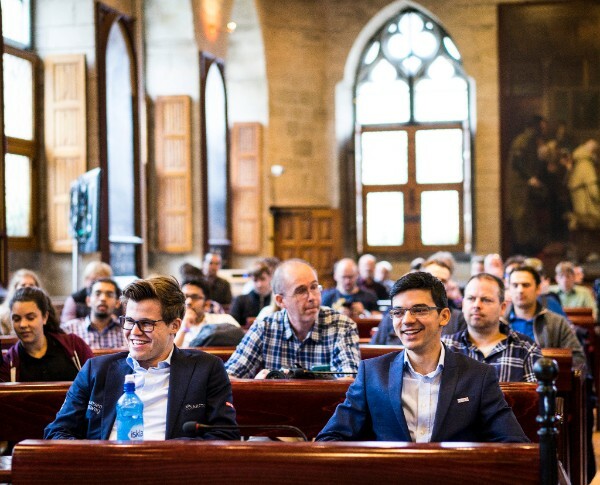 Anish Giri first spoiled Carlsen’s day by completely outplaying him but evened out the field by delivering the same result to Wesley So. The Dutchman is only a wildcard and cannot compete for overall tour points, but his games have had quite the impact on the standings. Former World Champion Vladimir Kramnik had the second best result in blitz with 6/9. He remains in fifth place, 3.5 points behind the leaders. Ian Nepomnichtchi started the rapid off strongly, but is having difficulty scoring a lot of points. 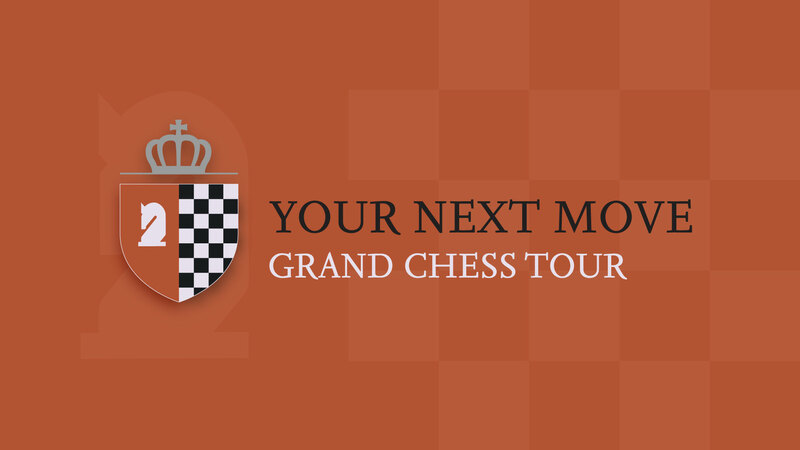 Fan favorite Levon Aronian and five-time World Champion Vishy Anand are also out of contention. 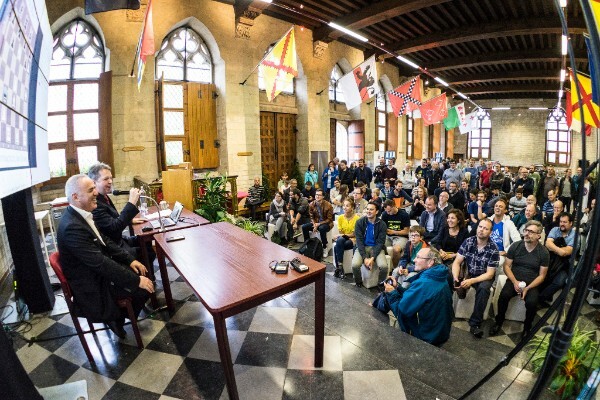 Event wildcards Vassily Ivanchuk and Baadur Jobava seem to be outclassed by the rest of the field, with the latter only scoring two draws in eighteen games.